Advanced Probiotics helps fight off bad bacteria in the GI tract that help you recover from chronic fatigue syndrome. Stress and inflammatory conditions. 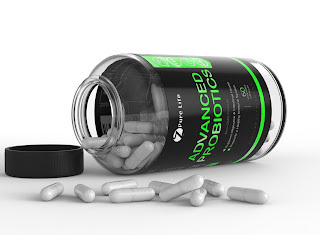 Unlike other Probiotic products, this product also works against bad bacteria. Since taking these I have noticed a huge mood increase during my periods. Less stress while taking advanced probiotics, where I am usually very moody. Is has helped regulate me, having regular movements.